The world of marketing is evolving at a rapid pace and the notion of change is a constant. Technology advancements, media consolidation, agency mergers & acquisitions and evolving regulatory considerations ranging from consumer privacy issues to intellectual property concerns are but a few examples of events that can have a meaningful impact on client-agency agreements. Unfortunately, client-agency letters of agreement are not the “living” documents that they are professed or intended to be. Too often they are outdated, invalid and or untraceable. Further, seldom are they shared and understood by key internal stakeholders at the advertiser who are responsible for managing agency relationships… including key marketing team members. Can you locate an executed copy of your agency contract(s)? Are the terms of the agreement and the accompanying exhibits current? Are the scope of work and staffing plan detail incorporated into the original agreement reflective of the agency’s role and responsibilities today? Do your contracts contain a “Right to Audit” clause? Is there specific language defining a fee reconciliation process and agency time reporting requirements? Does your contract extend coverage, control and transparency to both the agency brand you work with along with its affiliates and holding company? Are there clear definitions in and around intellectual property ownership and licensing arrangements? If you answered “No” or “I’m not sure” to any of the aforementioned questions, then your agency contract may not be providing your organization with the level of risk mitigation, financial and legal control that is consistent with your supplier governance standards. The “Master Agreement” or contract was negotiated as an “evergreen” document with the core terms and conditions remaining in place unless either the advertiser or the agency terminates the agreement. In this scenario, it is typical that the scope of work, staffing plan and remuneration program are to be updated and reviewed annually. Unfortunately, sometimes these important legal exhibits are not updated on a timely basis or in a manner consistent with the terms of the Master Agreement or actual current practices. Turnover within the client-side procurement and or marketing departments often leads to a knowledge gap when it comes to marketing agency LOAs and the attendant “rules of the road” that were arduously poured over at one time and put in place to guide the company’s agency relationships. Many client organizations simply do not have standardized marketing services contract templates/ terms and conditions nor do they have a central repository for maintaining any and all LOAs, addendums and statements of work pertaining to their agency network… let alone a process for periodic review/updating. 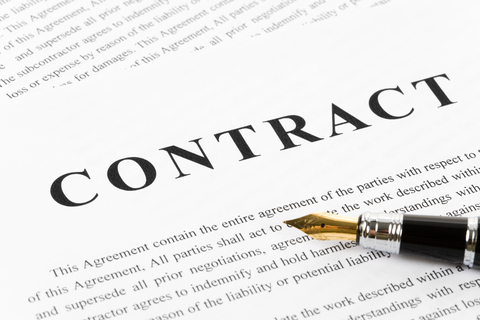 The legal and financial issues that can arise from an outdated, expired or inadequate client-agency contract are significant and can create a number of risks for advertiser and agency alike. If you have identified issues, we would urge you to take action immediately by working in conjunction with your agency partners to update and evolve these agreements. If you’re looking for guidance on industry “Best Practices” in this area you can contact the Association of National Advertisers to access relevant articles and guidelines on this topic. As another consideration, if you would like to gain the benefit of what we’ve learned through first-hand experiences and would like to schedule a complimentary consultation on “Client-Agency Contract Trends,” please contact Don Parsons, Principal at Advertising Audit & Risk Management at dparsons@aarmusa.com. ← What is the Line Between Being a Maverick or a Rogue CMO?